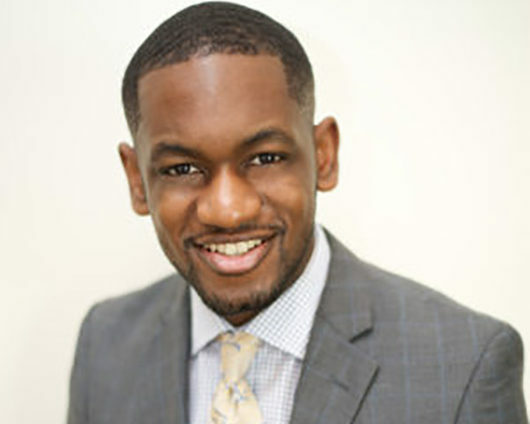 Mark Anthony Dunham, Jr., serves as the 48th National Chair of the National Black Law Students Association (“NBLSA”). In this role, he exercises general executive authority over the business, activities, and initiatives of NBLSA, which includes all six Regions, as well as serving as Chairman of the NBLSA National Executive Board. A native of Chattanooga, Tennessee, Mark graduated from American University (AU) in 2012, where he earned a Bachelor of Arts in Political Science, specializing in American Government. While at AU, Mark served in several different student leadership roles, including Senate Speaker, Judicial Board Chairman, and Residence Hall Association President. Mark is a fourth-year evening student at the American University Washington College of Law, where he serves as the Chief Judge of the Student Bar Association Supreme Court and the 2017-2018 Chair of the SBA Commencement Committee. He was previously a member of the Moot Court Honor Society and in executive leadership in the Student Bar Association, serving in 2016-2017 as Executive Vice President and Speaker of the Student Senate during the 2016-2017 academic year. In addition to his academic activities and NBLSA leadership, Mark is a member of Phi Beta Sigma Fraternity, Inc., and employed full-time as the Manager of Legal and Regulatory Affairs at the Retail Industry Leaders Association (RILA), where he works on advocacy efforts with executives from leading retail corporations.